"There is not a man within the sound of my voice who does not know that this nation is run by the International bankers"
"The dollar represents a one dollar debt to the Federal Reserve System. The Federal Reserve Banks create money out of thin air to buy Government Bonds from the U.S. Treasury ... debt which the American people are obliged to pay with interest." "Today, a dollar purchases 3% of what it did just over a century ago. The 97% went into the pockets of the banksters. The banksters have been working diligently for quite some time to separate you from your money." "For Most Americans, It no longer pays to go to work full time. The American dream is dead and buried." "America is poor, uneducated and is totally ignorant of the constitutional liberties being taken away on a daily basis by our criminal government which has been hijacked by the bankers." "The NSA, CIA, FBI, IRS and the DHS are not your friend... Their undeniable mission is to protect the global elite from you and your anticipated failure to submit to the tyranny being rolled out across the country in the form of an administratively imposed martial law." "Putin is as controlled by the banksters as is President Obama and his intended theft of Russian retirement accounts is living proof of this statement." "The federal government and its Basel-based bankster puppeteers own the rights to mineral and energy leases, from which they receive royalties, rents, and bonus payments"
"The word 'Establishment' is a general term for the power elite in international finance, business, the professions and government, largely from the northeast, who wield most of the power regardless of who is in the White House. Most people are unaware of the existence of this 'legitimate Mafia.'" "Is United States government a corporate / banking criminal enterprise? It is a conglomerate of various criminal enterprises." "We have elected puppets ever since 1900, when the bankers really took control." "...... the United States [is] cast in the role of Praetorian Guard, protecting the interests of the global financial order against fractious elements in the Third World." "But the Empire is just a tool, an expendable vehicle. The coming destruction of the American Empire will in fact allow the ascendancy of the Money Power’s coveted global despotism." "This petrodollar system, or more simply known as an “oil for dollars” system, created an immediate artificial demand for U.S. dollars around the globe". "Some of the biggest men in the United States, in the field of commerce and manufacture, are afraid of somebody, are afraid of something. They know that there is a power somewhere so organized, so subtle, so watchful, so interlocked, so complete, so pervasive, that they had better not speak above their breath when they speak in condemnation of it. They know that America is not a place of which it can be said, as it used to be, that a man may choose his own calling and pursue it just as far as his abilities enable him to pursue it; because today, if he enters certain fields, there are organizations which will use means against him that will prevent his building up a business which they do not want to have built up; organizations that will see to it that the ground is cut from under him and the markets shut against him. For if he begins to sell to certain retail dealers, to any retail dealers, the monopoly will refuse to sell to those dealers, and those dealers, afraid, will not buy the new man's wares." "This Act establishes the most gigantic trust on earth....When the President signs this Act, the invisible government by the money power, proven to exist by the Money Trust Investigation, will be legalized....The new law will create inflation whenever the trust wants inflation....From now on, depression will be scientifically created." "In the united States we have, in effect, two governments....We have the duly constituted Government....Then we have an independent, uncontrolled and uncoordinated government in the Federal Reserve System, operating the money powers which are reserved to Congress by the Constitution." "100% of what is collected is absorbed solely by interest on the Federal Debt ... all individual income tax revenues are gone before one nickel is spent on the services taxpayers expect from government." "Like it or not, you are a slave. You admit you are a slave every April 15th! That's when you sign forms that "voluntarily" lay bare to the government the most private details of your life! And few people realize the income tax is a slave tax. It can never be compatible with the life of a free people". Ever since the Bank of International Settlements (BIS), through her Federal Reserve (FRB) branch, began transforming USA since the 1920s from the most active of manufacturing nations into a consuming and importing nation with a balance of trade against it, USA has been in the process of imperial demise. Totalitarian rule of the Chinese Communist Party is inherently unstable . Once the International Banksters and their affiliated multi-national corporations (MNCs) find the aging China labour force, adaptable to purposes of industrial exploitation, no longer yield the largest surplus product of labour in proportion to their cost of keep, or that China turns the table upon Western industrial nations, adopting their capital, organisers and substituting her own, flood Western market with her cheaper wares until she gradually obtains financial control over her qondam patrons and civilisers, will likely withdrew their credit to her. The inevitable economic collapse, like in the artificially propped-up USSR, will ripple across the region. 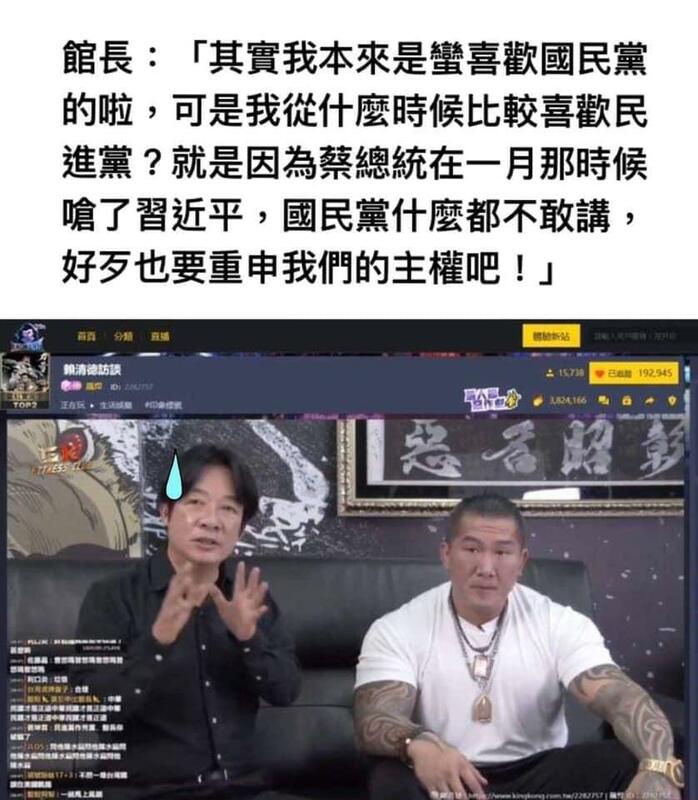 執政不力，經濟不好嗎? 那你只是哪一個面向 ? 還是你只會人云亦云! ? 再說一次 賴清德如果存心想翻桌的話 就不要怪雙方你來我往，蔡昨天的記者會已經釋出善意，賴如接受協調，可以將司法改革等關切議題列入，我想不出來為何不接受協調 ? 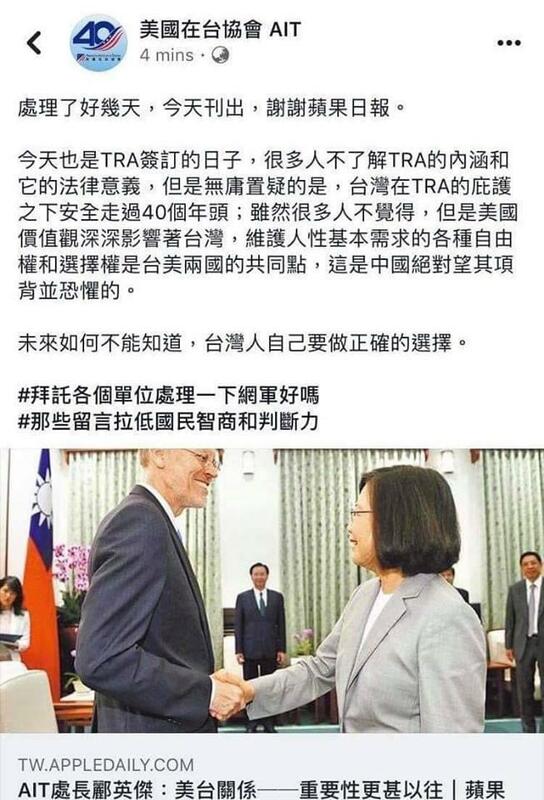 直接挑戰現任總統! 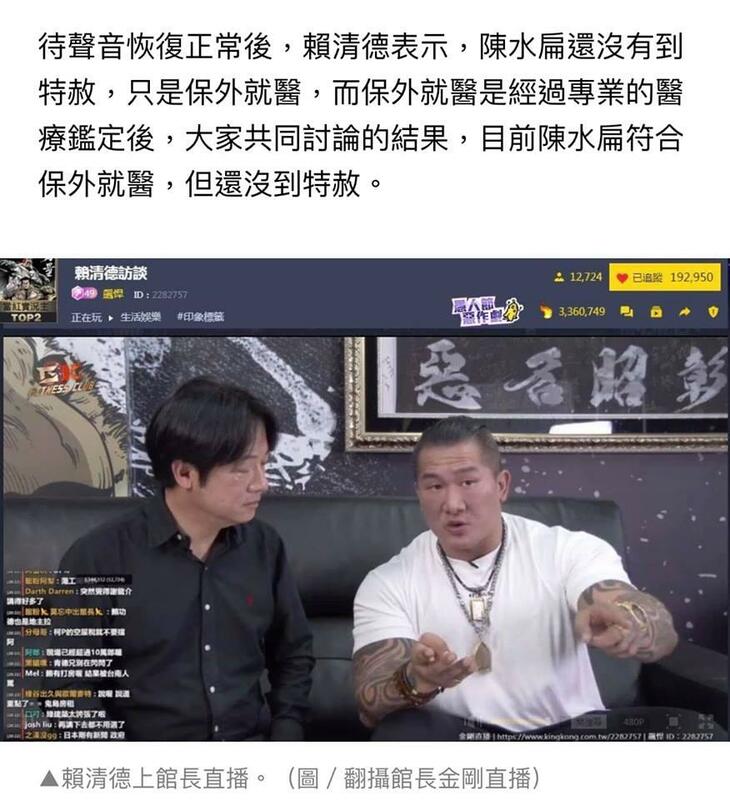 >>>>再說一次 賴清德如果存心想翻桌的話 就不要怪雙方你來我往，蔡昨天的記者會已經釋出善意，賴如接受協調，可以將司法改革等關切議題列入，我想不出來為何不接受協調 ? 直接挑戰現任總統!